[패턴 영어회화] 주어 + be 동사+ only + A(기간) + away. A 밖에 안 남았네. 주어 + be 동사 + only + A(기간) + away. ~이(가) A 밖에 안 남았네. 월드컵 폐막식이 3일밖에 안 남았네. The World Cup closing ceremony is only 3 days away. 우리 기말 시험이 한 주일밖에 안 남았네. Our final exams are only one week away. 내 생일이 이틀밖에 안 남았네. My birthday is only a couple of days away. 회사 회계감사가 1분기(3달)밖에 안 남았네. Company tax audits are only a quarter away. 네 결혼식이 한 달밖에 안 남았네. Your wedding day is only a month away. 저녁 식사가 한 시간밖에 안 남았네. Dinner is only an hour away. 우리 마감 기한이 2주일밖에 안 남았네. Our deadline is only a fortnight away. 챔피언전이 한 시즌밖에 안 남았네. The championships are only one season away. 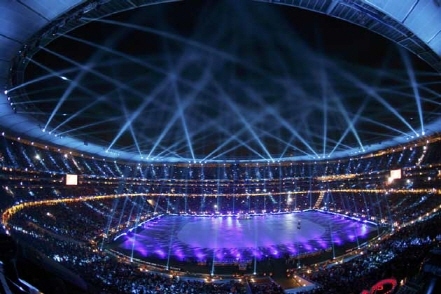 A: The World Cup closing ceremony is only 3 days away. B: It’s been an eventful tournament. A: Your wedding day is only a month away. B: I’m getting cold feet. 나 그만두고 싶은 심정이 들어. A: Dinner is only an hour away. B: My belly is growling.